IRVINE, Calif. â" The South Korean government has chosen a Southern California language program to become part of its global initiative to advance the Korean language. 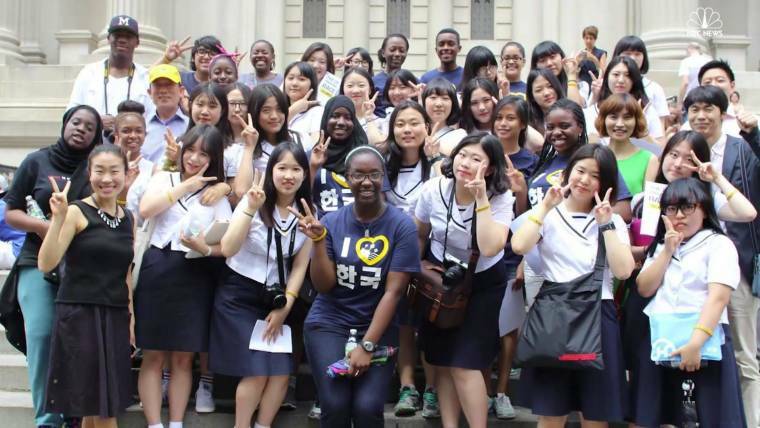 The King Sejong Institute Foundation â" which is part of the South Korean Ministry of Culture, Sports and Tourism â" operates 174 language centers in 57 countries as a way to encourage non-native speakers to learn Korean. This year, it named 16 new sites, including the Korean American Center in Irvine, the only program selected in the U.S. When the Korean American Center began its language classes in January of 2016 â" six levels of language instruction plus the mini-courses such as âKorean through K-Pop,â âKorean through K-Dramaâ and power vocabulary â" the intent was to give Korean Americans a chance to learn their ancestral tongue, Kim said. 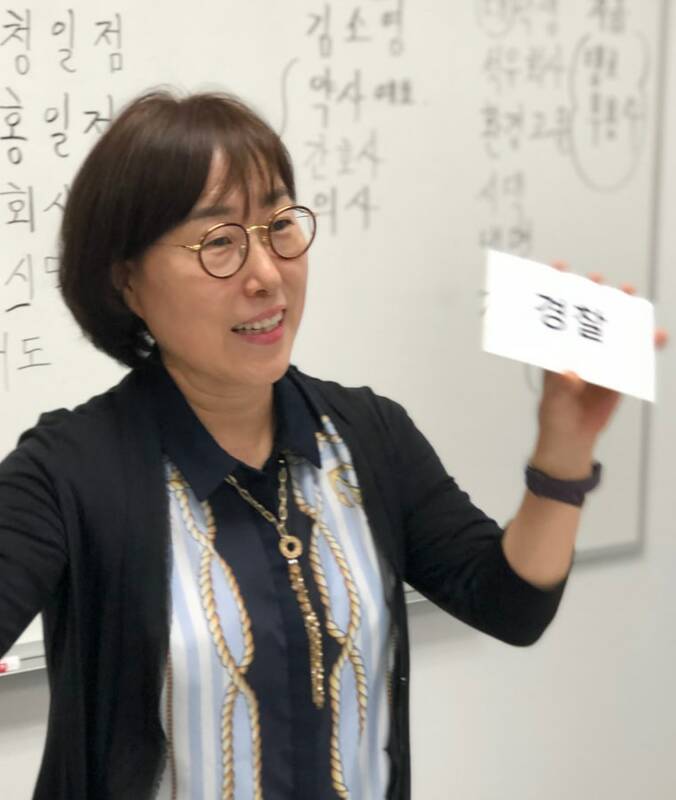 At the time, there were few opportunities to learn Korean in Orange County, she said, even though the area is home to the nationâs second-largest Korean population after Los Angeles. According to the 2016 Census estimates, approximately 95,000 Koreans lived in Orange County. Instead, Kim found that 75 percent of students were non-Korean, many of whom had Korean spouses or adopted children, she said. She also credits the curiosity in Korean language to the increasing visibility of Korean pop culture, food and electronics. And in Orange County, where the Korean car manufacturers Hyundai and Kia have corporate offices, there are professional benefits to learning the language. For Lynn Polak, it was Korean dramas that drew him in. After watching several on Netflix, Polak â" who is not Korean â" started looking up Korean words and watching language tutorials on Yo uTube. He enrolled at the Korean American Center last January, and since then, has taken every language class available. Raymond Kim, meanwhile, said that heâs always wanted to learn Korean. Even though his first words as a baby were in Korean â" his father is Korean and his mother is Chinese â" he didnât grow up speaking the language and never learned it in the classroom, he said. But after moving to Irvine, he saw how practical it could be. âMy neighbor is Korean and my dry cleaner is Korean, and I feel like itâd be nice if I could conve rse with them,â Kim said. He also works in marketing for an electronics company, and said that there are professional advantages to knowing the language. In two-and-a-half-years, the Korean American Center increased enrollment from 10 to nearly 100, with several hundreds more on the waiting list, said Tammy Kim. This enthusiasm from the community is part of what made the program stand out, said Woo Seung Sohn, part of the King Sejong Institute Foundationâs designation committee. The new designation as a King Sejong Institute has allowed the Korean American Center to scale up its language program, according to Kim. It increased instruction time from 90 minutes to three hours per week, and lengthened its semester from 10 to 11 weeks â" while keeping tuition the same price. It also introduced new books and course materials to bring the curriculum up to the same standards as the other King Sejong Institutes around the world. The King Sejong Institute designation also allowed Kim to hire more teachers, which she said serves another goal of creating a national pipeline of Korean language teachers. âThe more teachers you have, the more programs youâll be able to offer,â she said. The King Sejong Institute in Irvine is the start of a push to expand Korean language access throughout the U.S., said Sohn. To assist the 10 existing U.S.-based Institutes and to lay the groundwork for more, in September the South Korean government opened the King Sejong Institute Center, U.S.A. in Los Angeles, where Soh n is head of operations. Increasing access is critical, Kim said, if the Korean language is to survive in the U.S.
âWeâre preserving our culture for future generations,â she said.